Law Office of Kerya L. Koeut, P.A. We are a Clearwater law firm focused in the area of family law. Our attorneys are educated, experienced, and equipped to handle any family law issues pertaining to divorce, child custody, alimony, and domestic violence, which includes relocation, enforcement, and asset distribution. Our team of attorneys is ready to help you find the best and fastest resolution to any family dispute you may be experiencing. From case analysis all the way to litigation, our lawyers are ready to provide you optimal guidance and representation. Law Office of Kerya L. Koeut, P.A. 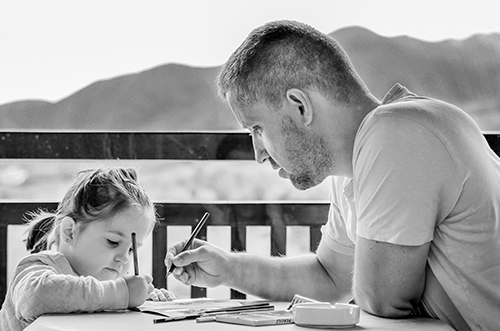 provides affordable and trustworthy legal solutions oriented toward growth and creating lasting solutions to inspire lifelong security to protect what matters the most- your family. Since any issue involving the family can have a tremendous effect on your emotions and finances, we make it a point that each and every client is afforded personalized attention. Our lawyers will walk you through the complexities of your individual case to ensure that the optimal strategy is laid out towards a favorable end goal. Our focus is always on protecting the best interests of the family, and on finding the best possible resolution for you, your spouse, and your children. Our lawyers have a vast wealth of experience in Florida family law. We pride ourselves in having a great track record in handling all our client’s cases. Expert litigation and guidance is what you can expect from us. Our focus is on conflict resolution, not on the conflict itself. The ability to remain composed and focused during these challenging times will only help lead to reduced future conflict. We want to ensure that you are aware of all the possible outcomes that your decisions may bring so that you are prepared to make the best possible choice for you and your family. Call Law Office of Kerya L. Koeut, P.A. at (727) 228-6263 today for your Free Consultation with a Clearwater Family Law Attorney! Copyright © 2019 Law Office of Kerya L. Koeut, P.A.